You want the air in your home to be clean and fresh, not dry, stale and full of contaminants. It is easy to forget cleaning about cleaning your air ducts, usually because they are out of sight. 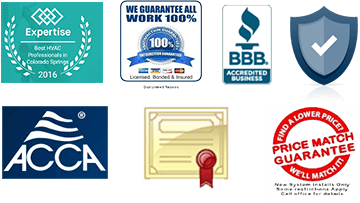 Professional air duct cleaners Fountain CO recommend having residential air ducts cleaned every 2 to 3 years, but unlike cleaning the bathroom or mowing the grass, it is not always obvious when the task needs to be done. When you ignore your home’s ductwork, problems can arise. 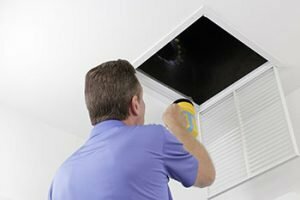 Here are several reasons why air ducts should be cleaned. Experts will tell you that removing mold, one of the major causes of asthma, is one of the primary reasons to have your air ducts cleaned. There are numerous respiratory issues that can be avoided by ensuring that the ducts are clean. Dust, mold spores, germs and pet dander are easily trapped in furniture, carpets and building materials. Once you turn on the cooling unit, all these substances get released into the atmosphere. They then start to attach themselves to items in your home including clothing, furniture and bedding, thus reducing the indoor air quality. Clean air ducts ascertain that these contaminants are eliminated. Clean air ducts not only help extend the life of your HVAC system but also ensure that it’s working efficiently. With a reduction in debris and dust buildup comes an increase in airflow, and thus, your system won’t have to work as hard to cool or heat the house. When there’s less debris and dust in your air ducts, there will be fewer substances drifting out and settling on your floors and furniture. A thorough air duct cleaning Fountain CO will do more than just sweep or vacuum these spaces, but ideally, address the system parts where the air passes through.